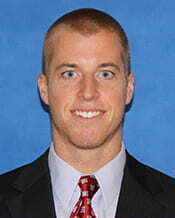 Adam started as the Assistant Athletics Director for Development on April 1, 2014. Prior to UW-Green Bay he was employed at Florida Southern College for three years. He earned his BA and MBA at Florida Southern College. Adam’s hometown is Detroit, Michigan, and he has two sisters, Hilary and Allison. Welcome Adam!